Why do kids always want to dress up as Mario or Peach? If you ask us, the most fun Super Mario Bros character to dress as is definitely Bowser, and he's not so scary once you get to know him! Your little one can dress up as his favorite video game baddie in this official Bowser Deluxe Costume, and look mean and green (and yellow) this Halloween! Don't get us wrong, we know Bowser is one bad koopa. Whether he's capturing princesses, or stealing gold coins, or just bumping other racers off the track during a Mario Kart race, we're always glad Mario and Luigi are out there to put a stop to his shenanigans. But, Bowser is just so good at being a bad guy, we can't help but love him! What other video game villain out there has his own fleet of flying pirate ships? And how did a huge, spiky, turtle-dragon get his claws on so many castles? And you have to admit, he's a monster on the Mario Kart track! 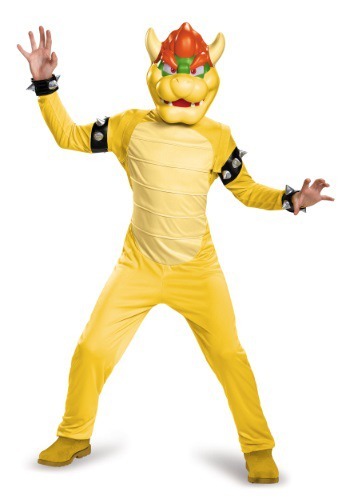 With this koopa-cool costume, your little one can be a monster while trick or treating, too, but the fun and mischievous kind of monster! 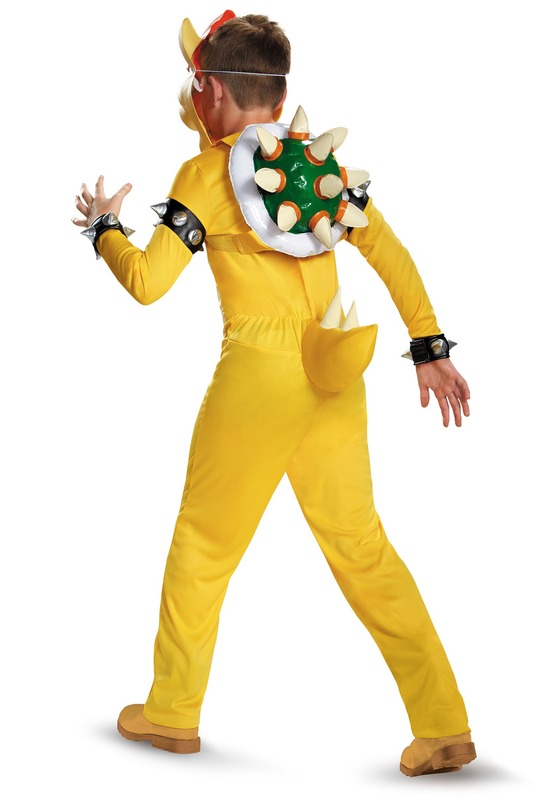 This jumpsuit, molded plastic face mask, and inflatable koopa shell accessory are officially licensed, so your kid knows he'll look just like the real Bowser. Just make sure you keep an eye on where he hides his candy, or it might end up in another castle, and then you'll never find it!